The Marriage Journey Experience playlist on YouTube! Plan to join Drs. Willie & Audrea Lott for insight, encouragement, practical information, and instruction and inspiration from the Word of God. Marriage is indeed work, but there are tools that help us succeed and enjoy victory! 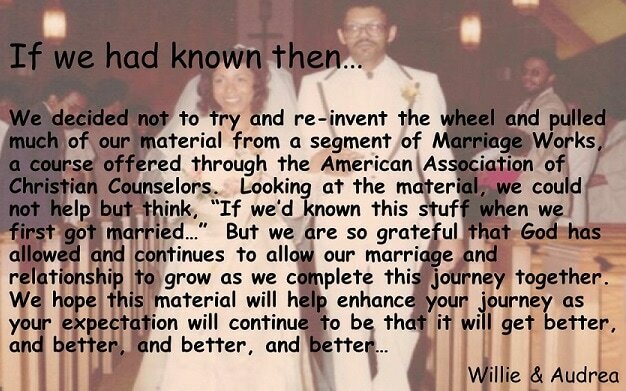 Godly marriages work!